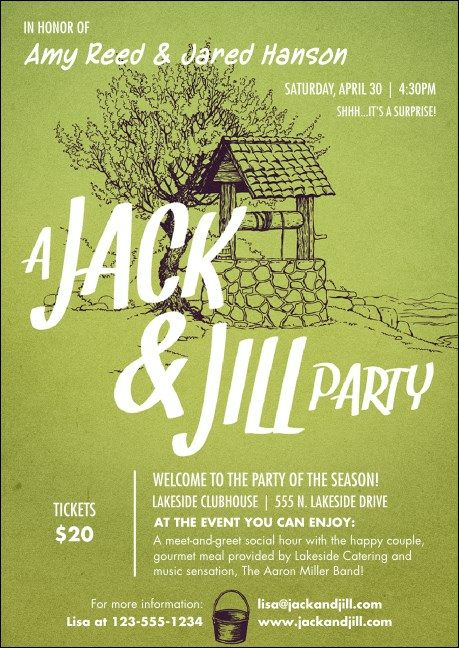 Bring a little joy to everyone's mailbox with the Jack and Jill 2 Club Flyer. A depiction of the famous verse covers the card in grassy green and enchants all viewers. Use 16 open lines to inform potential visitors of all your gathering's particulars. Send the right club flyer with TicketPrinting.com.